Here we’ll take a look at the basic things you need to know in regards to search engine optimisation, a discipline that everyone in your organisation should at least be aware of, if not have a decent technical understanding. One of our most popular articles of all time is a post entitled SEO Basics: 8 Essentials When Optimizing Your Site. It still does the business for us in terms of traffic, however it was first published in April 2013, so you can treat this as its long overdue and expanded update. This tallies with our own data, with approximately 70-75% of SEW traffic coming from organic. Of all organic traffic, in 2015 it was found that Google accounts for more than 90% of global organic search traffic. So obviously you need a strong presence on Google SERPs, but how strong? How search engines provide these results is down to their own internal algorithms, which we’ll probably never truly determine, but there are factors that you can be certain will influence these results and they’re all based around relevancy… For instance: a searcher’s location, their search history, time of day/year, etc. Basically, stop worrying about keywords and focus on the user experience. There are many SEO benefits for providing the best possible user experience. You need an easily navigable, clearly searchable site with relevant internal linking and related content. All the stuff that keeps visitors on your webpage and hungry to explore further. Is your website and its content equally optimised for any given screen size or device? Bear in mind that Google has stated that responsive design is its preferred method of mobile optimisation. However as the aforementioned Searchmetrics research suggests, year-on-year correlations between backlinks and rankings are decreasing, so perhaps over time ‘links’ may not be as important to SEO as we once thought. There is more guidance found here: how to write meta descriptions for SEO. You should use a few accurate keywords describing the page as well as your own brand name. Only use relevant keywords though, and the most important thing to consider is that although you are formatting for search engines, you should write for humans. There is a lot more practical guidance to be found in our complete guide to title tags. Schema is also the preferred method of markup by most search engines including Google, and it’s fairly straightforward to use. For more information, check out our handy guide to Schema. Instead of peppering the internet with a rash of ‘quick win’ news stories with little insight, why not publish more evergreen content. 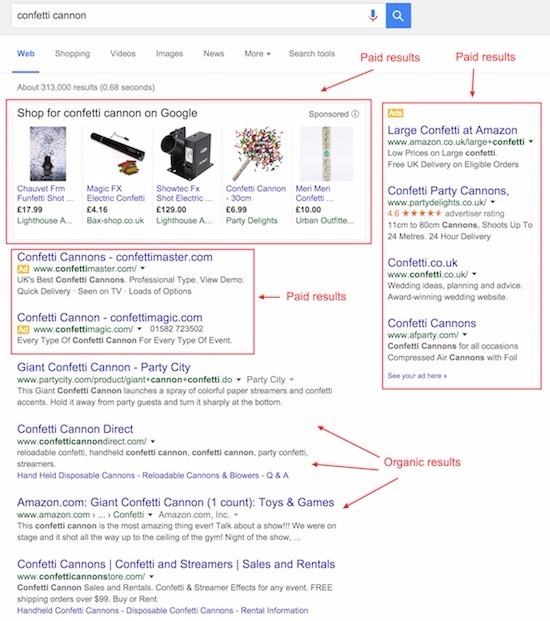 More thoughtful, helpful and practical-advice based articles can lead to huge long-term wins in terms of driving traffic and occupying highly visible positions in the SERPs. Here’s a guide to planning and creating evergreen content. You should use sub-directory root domains (searchenginewatch.com/category/seo) instead of sub-domains (searchenginewatch.category.seo.com) as this is better for your overall site architecture. You should also stay away from hyphens (search-engine-watch.com) and alternative Top-level domain names (.biz .name .info) as these are considered spammy. Also you should make sure that if you operate a site without the www. prefix, someone who types in www.example.com will still be redirected to your site. If this isn’t happening, Google may assume these are two different sites and your visibility could be compromised. The headlines for your articles should be under 55 characters to ensure their complete visibility in SERPs. Make sure they’re snappy, attractive and as descriptive as possible (this is often an impossible balance). Just stay away from clickbait headlines, do not promise something that the content doesn’t deliver. The permalink (or URL), which you can normally alter in your CMS even after it’s been set automatically, doesn’t necessarily have to match the headline exactly. Google has stated that you can use three to four key words that you should put the most important keywords first. Do not turn off your comments system. Having a thriving community of regular commenters engaging in dialogue under your posts shows that visitors care enough about your content to either make their own relevant points or to praise it or to ruthlessly eviscerate it. Either way, at least people are reading it. Just be super-mindful about filtering out spam comments, or immediately removing any that slip through. It’s also worth adding the nofollow value to your comments section so Google ignores any erroneous links that may appear. 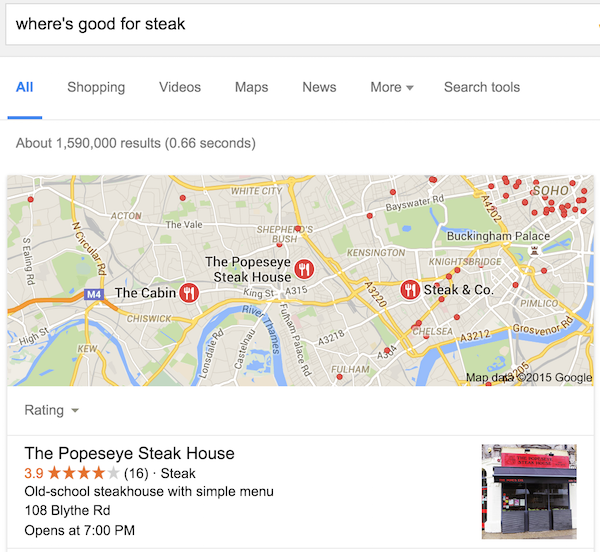 Increasingly Google is serving results to users based on their location. This is particularly important to businesses out there in the real world who ned to catch a searcher’s attention just at the right moment, i.e. while walking down the street, on their mobile and looking for somewhere to eat. You need to make sure you’re present on all relevant social channels (wherever your audience may be), and not just broadcasting your content in a faceless manner, but by using it as a customer service channel and genuinely interacting with people in a friendly, helpful and entertaining manner. The actual correlation between social signals and search rankings is a much argued over subject, but here’s a good overview of the subject. Overusing keywords on your pages, especially when they obviously affect the readability of your site. It’s debatable whether Google even still uses keywords as a ranking factor anymore. Thinking of approaching a link farm? Just don’t do it. It’s not even worth it. The most valuable links to your site are the ones that come from authority sites within your own niche. Anything overly intrusive that destroys the pleasure of reading your content and slows down your site speed. 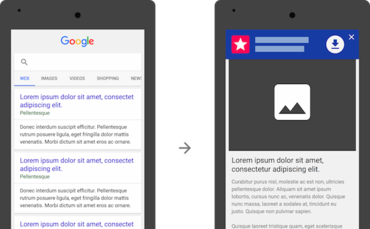 If you present mobile visitors with a full-screen advert to download your app, Google will consider you no longer mobile friendly. There are a ways to manipulate rankings that a user may not ever see, but Google will probably find and punish you for. Stay away from using white text on a white background, positioning text off-screen, setting font size to zero or hiding a link in a single character like a comma or a full-stop. The temptation to put a link in that last full stop was incredibly high.